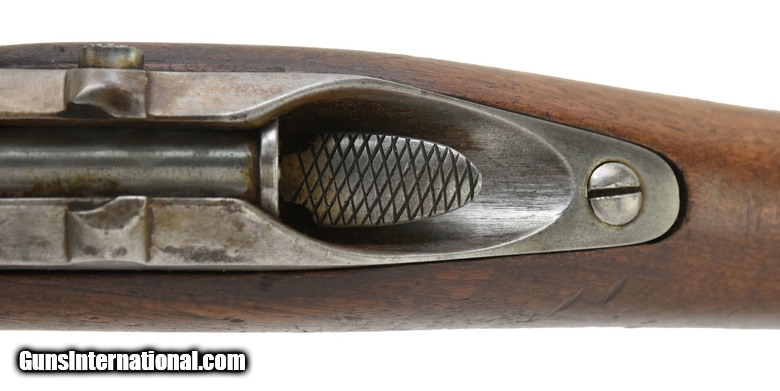 Very Unusual French Pieri Thumb Trigger Carbine. Very interesting gun. 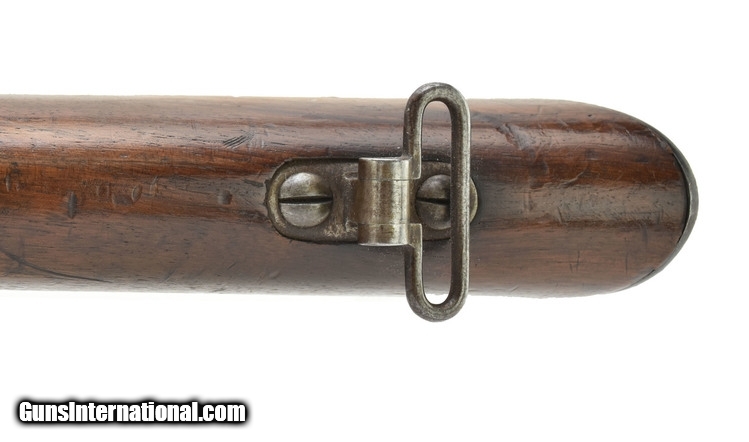 We were only able to find a reference for it online from the Springfield Armory Museum. 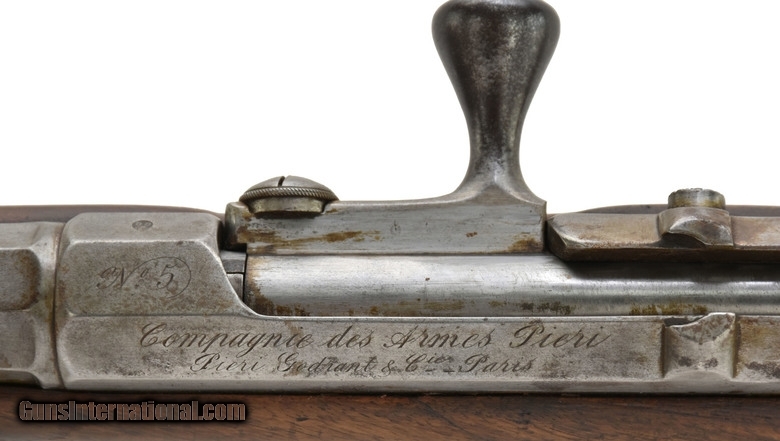 This gun is marked “Compagnie des armes Peiri/ Pieri Gondrant & Cie Paris”. 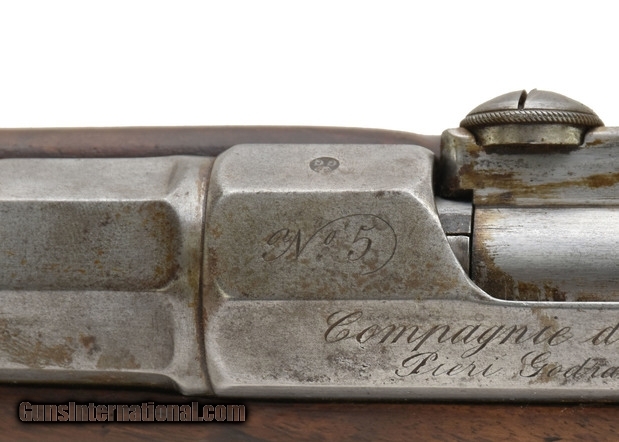 The top is marked No.5 which we believe is the serial number. Wood is very good. There is an expert repair at the wrist. Metal is in the white. 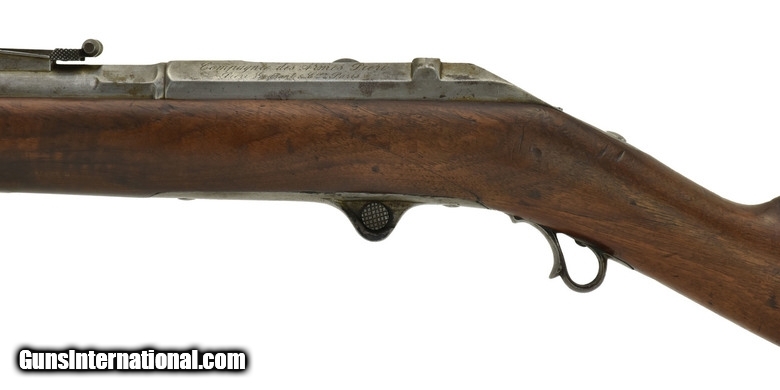 This is a very unusual gun that on first appearance resembles a Remington Keene. It does not have a trigger guard nor traditional trigger. 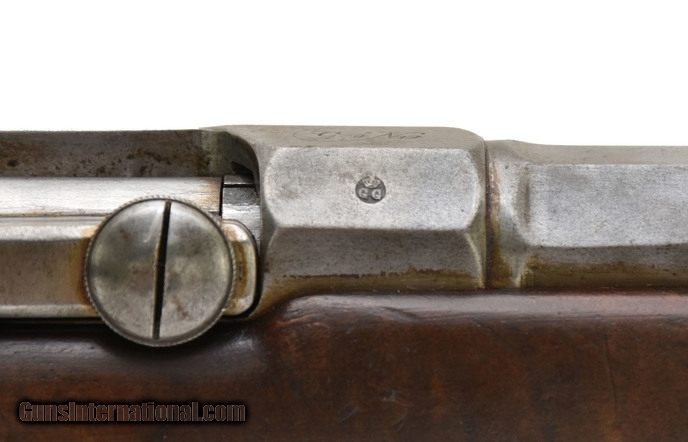 This gun operates as a thumb trigger. This is very well made. In the text that we found online it says there are some of these known to be made at the Gilsent I factory in Brescia. This gun however is Paris marked.